Back in 2016 the first Austrian wolf pack established in Allentsteig, a military training ground in Lower Austria. 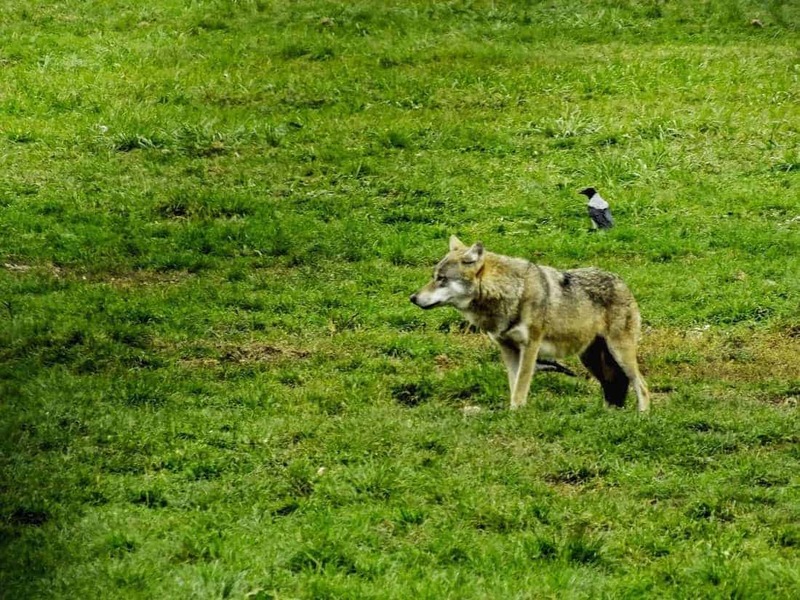 And now experts have confirmed the presence of a second wolf pack in Austria. Camera traps caught four or five wolves on camera at the Austrian-Czech border near Karlstift. In addition to this great news, there is evidence that a third pack has established itself just across the border on the Czech side. DNA analysis shows that the wolves in the second pack are not related to the Austrian wolf pack in Allentsteig. Therefore these wolves have migrated into Austria, most likely from Germany or Poland. There are approximately 20 wolves in Austria in total, although this number varies because wolves are migratory and can travel up to 70 km in a day. For example, the wolf who attacked several insufficiently protected sheep in Salzburg last May. This individual came all the way from the Italian French Border. What does this mean for Austria? The wolves are returning to Austria after they were hunted to extinction throughout most of Europe. Therefore it is important to set up proper herd protection measures to prevent human-wildlife conflicts that may occur in the future. Herd protection is more effective at protecting livestock than hunting is. Hunting and poisoning the wolf is also illegal because the wolf is a protected species under European law. It is governed by the Flora and Fauna Habitat Directive Annex 4. The Austrians can learn from their neighbours, for example Switzerland, who are leading the field in shepherd training. Farmers in Austria need financial support and information about how to work in a region with a wolf pack. A recent survey showed that the majority of Austrians have a positive view of the wolf, with 74% of people asked having a ‘positive’ or ‘very positive’ opinion on the natural return of the wolf. This shows that the negative opinions about wolves stem from a minority of the population. However, it is still crucial to inform and educate people on the wolf’s return. This also helps to overcome the fears people might have, like the wolf is supposedly a scary, aggressive and blood-thirsty animal. Or that the wolf is a threat to the alpine sheep owners. The State government of Upper Austria decided to get rid of wolves, but failed to take the decision on fact-based information. The Upper Austrian Administrative Court therefore recently repealed this decision. Actually, this can be countered with proper and proven livestock protection techniques. In fact, the return of the wolves is an excellent opportunity to revitalise many of the abandoned shepherd huts in the mountains. It can draw attention to the financial sorrows of the sheep farmers due to massive imports of sheep meat from New Zealand. Also it supports the demand for more regional sheep products, like Feta and Pecorino Cheese and Schöpsernes. As much as any other animal, wolves are part of nature. In the this complex system, wolves have a role to play, which has a positive effect on the environment, and can restore balance in nature. Thank you for your comment, the post has been amended to include a more accurate (although still approximate) location of where the wolf pack was. I could not find a municipality called Friedenau in Austria. According to the following news article, the 2nd pack is in the district of Gmünd — might be worth referring readers to this or another article describing the evidence and actions taken by the WWF.